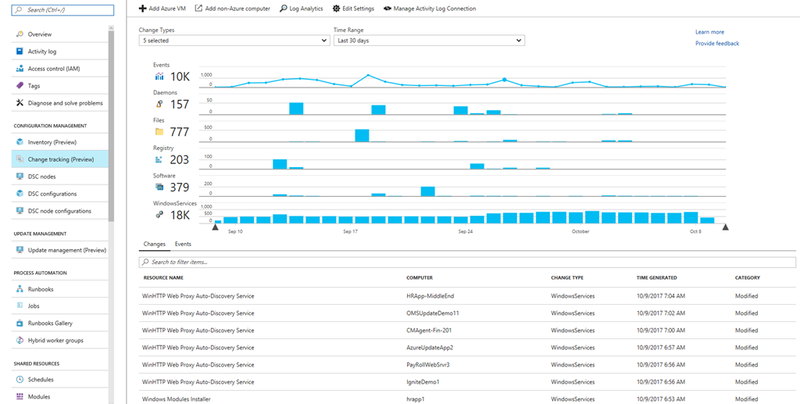 Azure Automation now supports update management, inventory, and change tracking. These capabilities are currently in preview. Update management delivers visibility of update compliance across Azure, on-premises, and other clouds for both Windows and Linux. Create scheduled deployments to orchestrate the installation of updates within a defined maintenance window. 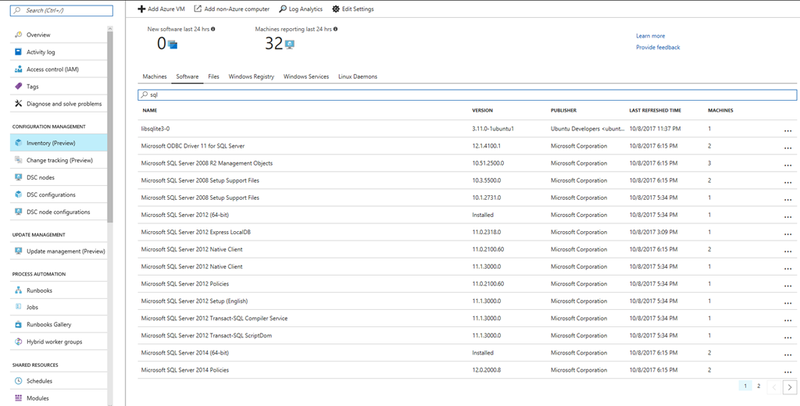 Exclude specific updates and get detailed troubleshooting logs to identify any issues during the deployment. 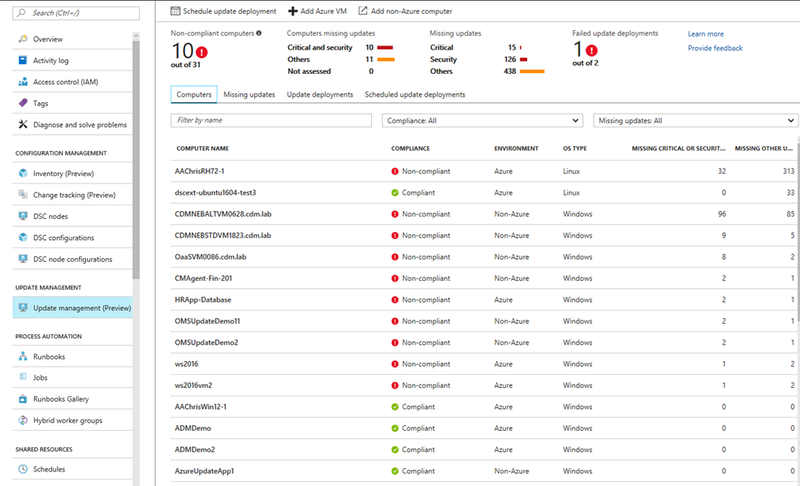 Get inventory of in-guest resources for visibility into installed applications as well as custom-defined configuration items. Rich reporting and search is available to help you quickly find detailed information and understand everything that is configured within the hybrid environment. Track changes across services, daemons, software, registry, and files to quickly identify what might be causing issues and to enable diagnostics and alerting when unwanted changes occur. Learn more about these capabilities on the Automation documentation page.